It's that time of the year again, where some migrate from their primary schools, into the big realm of secondary school, where some leave school and go to a new college or sixth form or where people leave college to attend university. 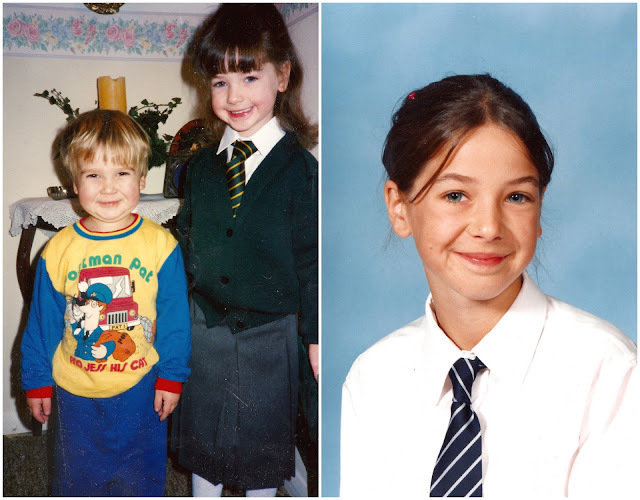 It's daunting no matter which stage you're at, I remember being terrified of my first day back in year 10 (New GCSE lessons with a mixture of people i'd never talked to before). So if you are moving onto a new, uncertain chapter in your school life, know that you certainly aren't alone in feeling apprehensive and nervous and it is completely normal to feel this way. 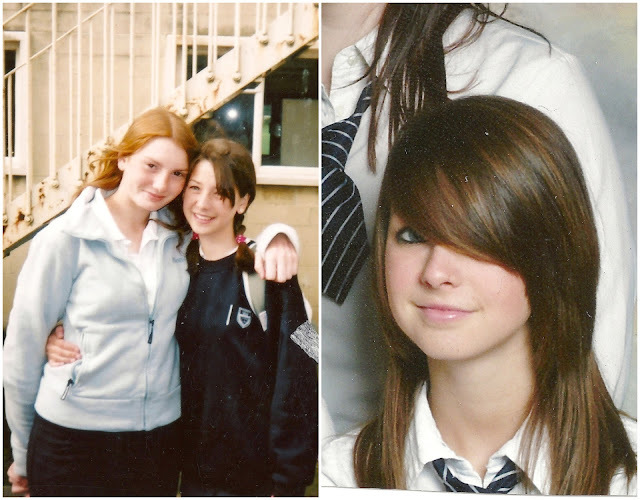 I was quite a shy pupil, emphasis on pupil. I wasn't a shy person, certainly not around my friends, I just decided to be the wallflower when it came to class discussion and answering questions. I was always the one that purposely didn't look the teacher in the eye incase they asked me to answer, the one they'd ALWAYS say "what do you think Zoe? ", just itching for me to have some input. I listened well, and took everything in, but I always liked to be a spectator. It's normal to be this way when you are surrounded by characters much bigger than yourself who you aren't sure of yet. It's hard to know where you fit into a class dynamic and it's hard not to care what others may think of you when you are given the chance to speak in front of many listening peers. It doesn't take long to feel comfortable with teachers and to find those people in the class who you can buddy up with to feel a little more confident. I always worry that people's first impression of me will be "shy". I think as i've gotten older, i've realised that first impressions don't have to be this big daunting thing, and that just being yourself will get you very far, but try telling that to my teenage self. I was so quiet. I'd gone from a school of 60 and 5 other people in my year group in a tiny village school, to a huge school, with thousands of pupils. I was a little fish in a very big pond. I'd have nightmares that i'd turn up late to lessons, or forget to do homework on time and get told off. I'd even be scared to wear different coloured socks in case my tutor told me off (they were strictly supposed to be navy). I lived too much of my first year of secondary school in fear of doing anything wrong. I don't know if that's normal, but that slowly decreased as the years went on. Some people fit straight into a new learning environment, and completely relish in the new and exciting move forward in their lives, or they just don't have a care in the world. MOST, are anxious, nervous and feel they don't fit in. I had friends immediately when I changed schools, as my friends from my previous school joined me to the new school. Because of this, I never had any trouble making friends, just with being confident in lessons when my friends weren't with me or there were lots of new people around. I remember in my first drama lesson, we were asked to get into a big circle and go round saying things about ourselves, and in my head was a huge mass of panic. "What if I can't think of anything...what if what I say sounds ridiculous?, What if someone else says what i'm going to say? What if people laugh at me because my answer is rubbish?" So many ridiculous things go through your mind, and let me just assure you, it's completely normal, but also, you do not need to worry. You will look back and laugh at how shy or scared you were. School life is what you make of it, some hate school, some love it. I personally loved it. There were low moments of course (Friendship groups fall outs and falling apart - Boy troubles - I HATE DOING THIS LESSON days, I HATE THIS TEACHER days, I want to go back to bed days...haha) but it's only when you leave that you can really appreciate how school morphs you into the person you become. It tests your patience, your independence, so many things. Not only do you learn skills and vast amounts of useful information (that's just a given) but the life skills gained are just as valuable. It's so important to push yourself out of your comfort zone and try as many things as you can. If you're shy, tell yourself you'll raise your hand at least once every lesson, if you're the naughty, loud one of the group, try harder to give other people a chance to speak and sit and take things in a little more. If there is something you aren't enjoying about school, only you can change it. It's only once you've left school, that you realise how much you either loved it or hated it. If you aren't enjoying school at the moment, or you're finding the new surroundings hard, turn it around and make a change. When you leave education, you feel like everything happened in the click of a finger, so make the most of every single day!